Orlando, FL (February 15, 2019) - Nautique Boat Company was honored in multiple award categories at the Miami International Boat Show. During the National Marine Manufacturers Association (NMMA) awards ceremony, Nautique received awards for outstanding performance in customer satisfaction and product innovation. Each year, the NMMA Marine Industry CSI Awards honor participating boat manufacturers that continually measure customer satisfaction. 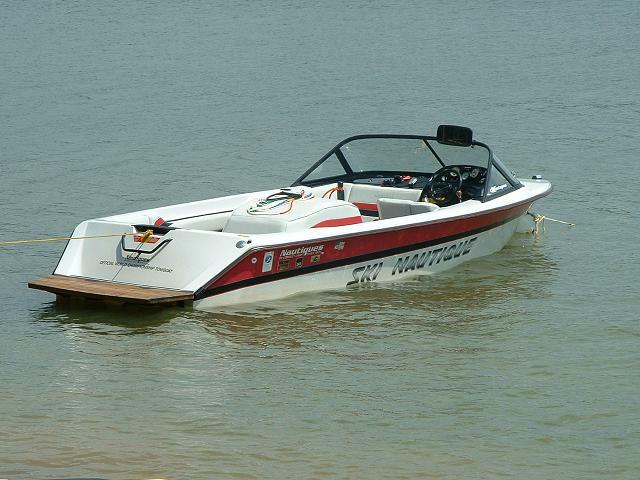 This is an independently measured category in which Nautique maintained a score of over 90 percent in customer satisfaction during the past year based on information provided by customers purchasing an inboard watersports boat. Achieving that score, Nautique once again took home their 13th consecutive CSI award for outstanding customer satisfaction. The highlight of the day was during the NMMA Innovation Awards. 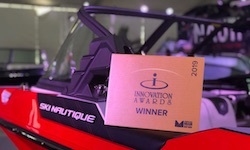 Recognized as one of the highest achievements for product innovation in the marine industry, Nautique took home the Propulsion Equipment and Parts Award for MicroTuner® technology that is incorporated into the 2019 Ski Nautique. The MicroTuners® deploy from the transom of the Ski Nautique and cause a disturbance in the water that fill in the troughs of the wake and provide a superior experience for the waterskier. This technology had never been done previously, and the patented MicroTuners® have been credited as one of the most significant innovations the waterskiing world has seen in recent years. “It is motivating to work in an industry that recognizes manufacturers that relentlessly drive innovation which in turn changes the marketplace,” stated Nautique President Greg Meloon. “We are honored for the awards presented to Nautique today and I’'m proud of the entire Nautique team for their tireless efforts and dedication to greatness.” Meloon added.